Ajuua’s Mexican Restaurant offers authentic Mexican food to hungry Madison, Ind., residents. The eatery has a flat, 2,500 sq. ft. roof surrounded on three sides by a metal mansard roof—steep, sloped metal panels around the roof exterior. The building’s old roof was an asphalt roll application that failed some years ago. Persistent leaks saturated a large section of wood roof decking near the building’s center. 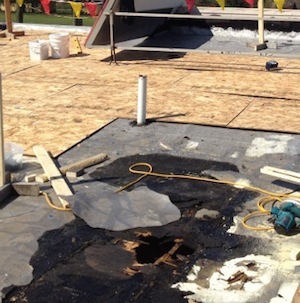 For help repairing its leaky roof, Ajuua’s owners called Exterior Pro Roofing. Upon inspecting Ajuua’s roof, our team verified that much of the roof’s middle section had rotted, and that the decking would need to be replaced. Unfortunately, due to how long the roof had been leaking, the extent to which the decking was damaged was unclear. Exterior Pro Roofing recommended installing a Duro-Last® commercial roofing system. 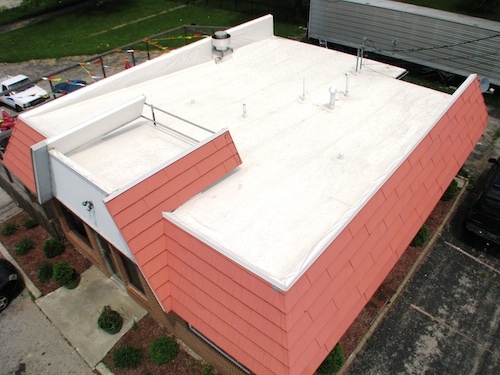 Duro-Last was ideal for this roof as it resists grease and other chemicals commonly used by restaurants. We began this project by pulling off the old asphalt roofing material. The water saturation was limited, for the most part, to the middle of the roof. It only took several 4 x 8-ft. plywood sheets to repair it. Next, we framed the new parapet walls and applied 7/16-in. OSB board—a strong, flaked wood sheet commonly used in construction for load-bearing areas. We then ran Duro-Last single-ply membrane over the flat-roof, and up over the parapet wall—completely encapsulating the building and protecting it from leaks. Finally, we installed 2-piece compression metal on top of the mansard to finish off the parapet walls. 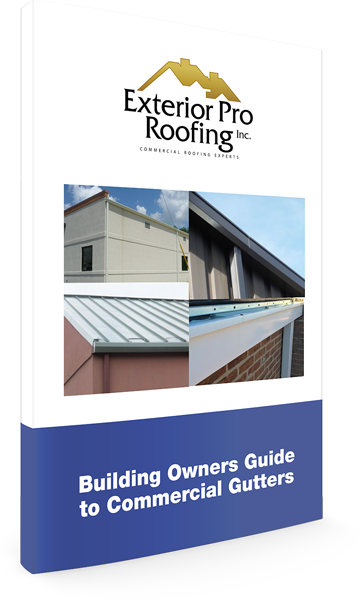 Download this free guide for all the information you need about commercial gutter repairs.